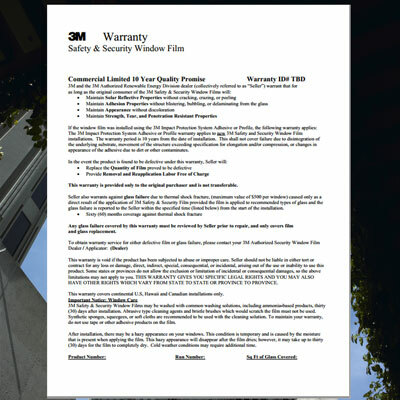 Below is documentation for 3M window films, including sample sheets with technical details, performance specifications, and samples of the warranty you will receive on products and labor for window film installations. 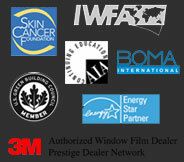 To find specification sheets on various film types please see the ARCAT SpecWizard (Note: Directs to an outside website). 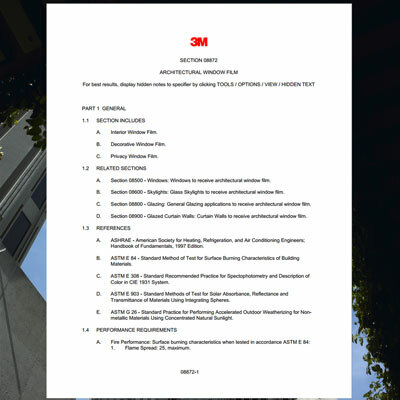 These sample sheets open in as a PDF in a separate window. If you computer cannot open PDF files, you can get Adobe Acrobat Reader for free here. 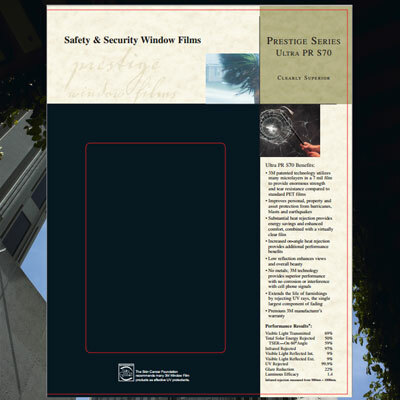 To find specification sheets on various film types please see the ARCAT SpecWizard (Note: Directs to an outside website).